Perfect paper for your Christmas layout and fabulous use of the sketch. Thanks for joining in at The Memory Nest. It's ok to scrap anything and anytime! Always love a Christmas page! Very nicely done! Thanks for joining us at THE MEMORY NEST! Beautiful layout! The background paper you chose is great and the Pear and Partridge PML's are the perfect complement. Love the little banner too. Thanks for sharing at Heart 2 Heart. Yeah a layout! I love seeing all project but the scrapbooker in me loves seeing memories preserved! Now to the project I love it, I love the green wood grain, so pretty! Thanks for playing along with Heart 2 Heart Challenges (H2H)! 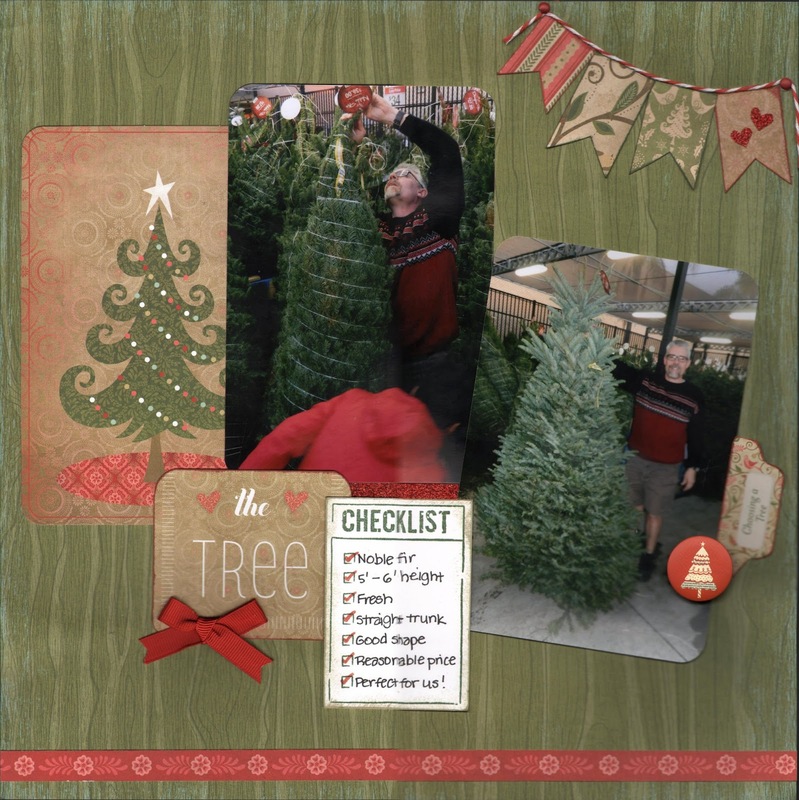 Oh such a gorgeous Christmas layout, I am always partial to red and green on Christmas pages. Beautiful page!! LOVE the pictures and the colors!! Thanks for playing along with us at tMN!! Hope you will join us again soon! !